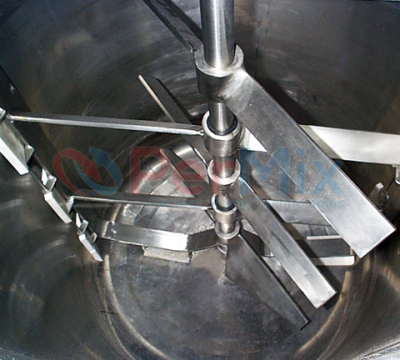 PerMix PCR series Contra Rotating Mixers are typically used when thick emulsions are produced by a bottom entry high shear emulsifier or homogenizer. They are also very useful for multi task vessels where different process duties are required. PerMix PCR series Contra Rotating Mixer is fitted with two drives: an anchor / scraper drive and a centrally mounted turbine drive. In effect it is two mixers joined together. PerMix PCR series Contra Rotating Mixers have the advantage to combine the benefits of a turbine unit along with that of an anchor / scraper. PerMix PCR series Contra Rotating Mixers offer excellent mixing throughout the vessel as viscosities increase due to their double mix system. 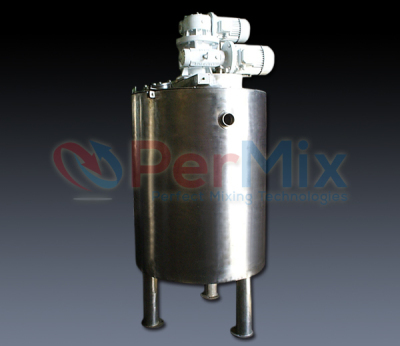 The wet end of PerMix PCR series Contra Rotating Mixers can be complete and installed into the tank prior to the vessel being completed or can be fully split to allow simple installation / removal. 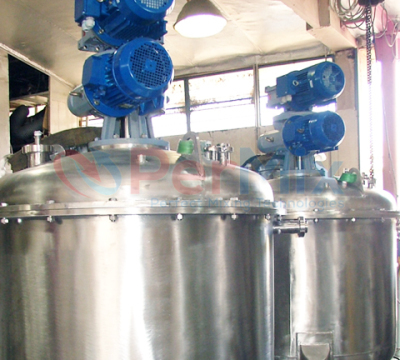 PerMix Liquid Mixers and Agitators can be designed to suit any tank geometry. We are able to supply our mixers or agitators for simple atmospheric vessels to pressurized systems mixing from several liters to many thousands. 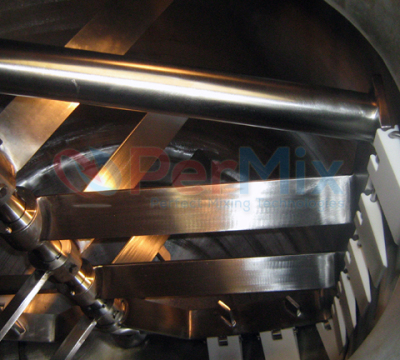 PerMix PCR series Contra Rotating Mixers are typically used for face creams, hair gels, shampoos and many other viscous applications.